I have always found excuses not to go back to the Cote d’Azur; the conspicuous show of wealth, the hordes wishing to associate themselves with celebrity glamour, the endless camper vans and caravans clogging up the mountain roads, and a wonderful landscape and climate not dissimilar to the less crowded but equally beautiful Italian Riviera of Liguria. 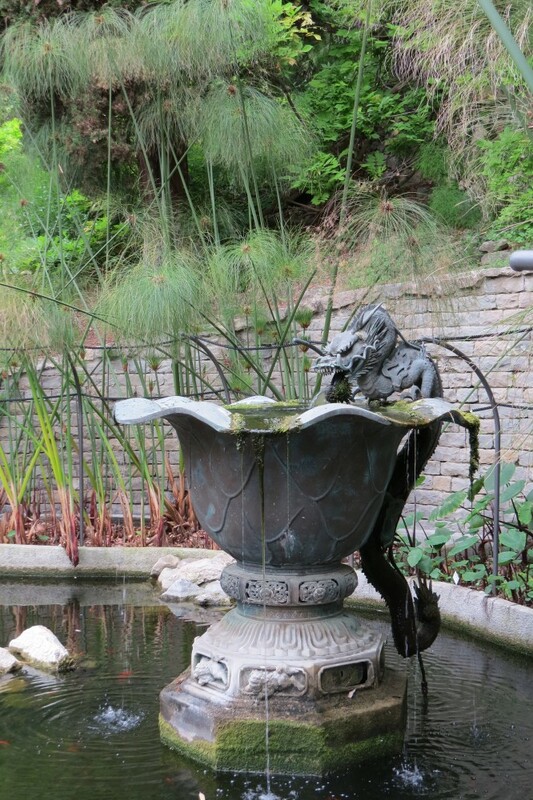 Visiting in low season mid-May (always a good time to see Mediterranean gardens) proved to be a sound choice, apart from having to dodge the heavy, unpredictable and frequent showers of rain. 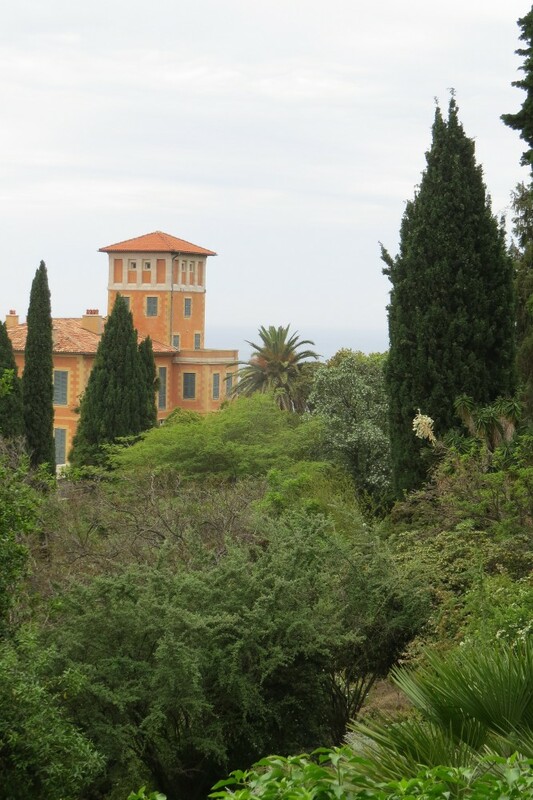 The first garden I visited was on the neighbouring Ligurian coast, Giardini Botanici Hanbury (La Mortola), an extraordinary botanical garden, just 2 km from the French town of Menton. Its creator, Thomas Hanbury best known today for bequeathing his Lutyens house and Wisley estate to the Royal Horticultural Society, was a merchant adventurer who made a fortune in Shanghai, trading in silk, cotton and tea; but the choice of La Mortola was influenced by his older brother, Daniel, a pharmacologist in the family pharmaceutical business of Allen and Hanbury. Daniel Hanbury saw the potential of La Mortola, a steep south-east facing headland, falling 150 metres from road down to sea, part woodland and part planted with orange groves and olives, but with a frost-free microclimate. 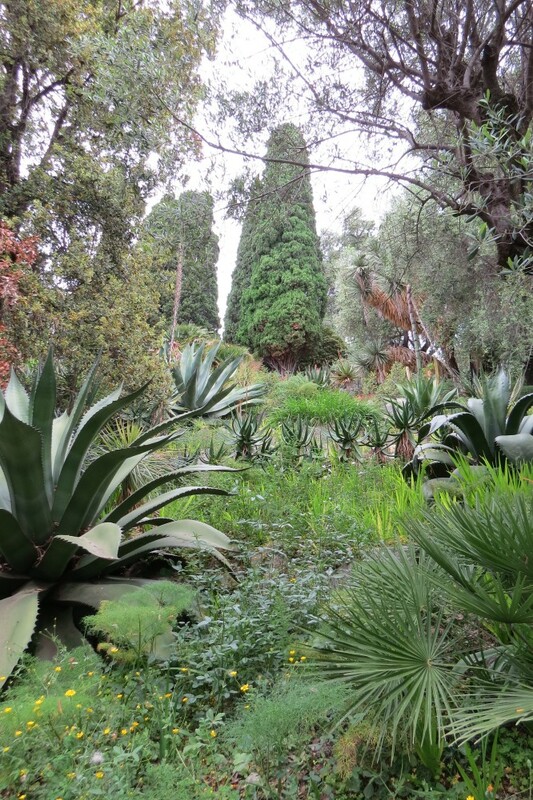 His professional interest in La Mortola was as an exotic botanical garden to research the medicinal and narcotic properties of a range of plants, but particularly agaves, aloes and brugmansias, of which large collections remain at La Mortola today. The exotic planting is not restricted to Daniel Hanbury’s medical research; for instance the orchard has a large collection of citrus varieties including the Mauritius papeda, the lumia and the pummel with its melon-sized fruits. Thomas Hanbury purchased the ruined palazzo and surrounding estate in 1867, and employed the German botanist, Ludwig Winter, who was working at nearby Hyeres to landscape the site. From the entrance gatehouse at the level of the mountain road, pebbled, cobbled and concrete paths and driveways snake down the hillside to the sea past a series of terraces retained with high dry stone walling. There is the well-signed route suggested by the informative visitor’s guidebook, but straight avenues with grand flights of steps also run from top to bottom. 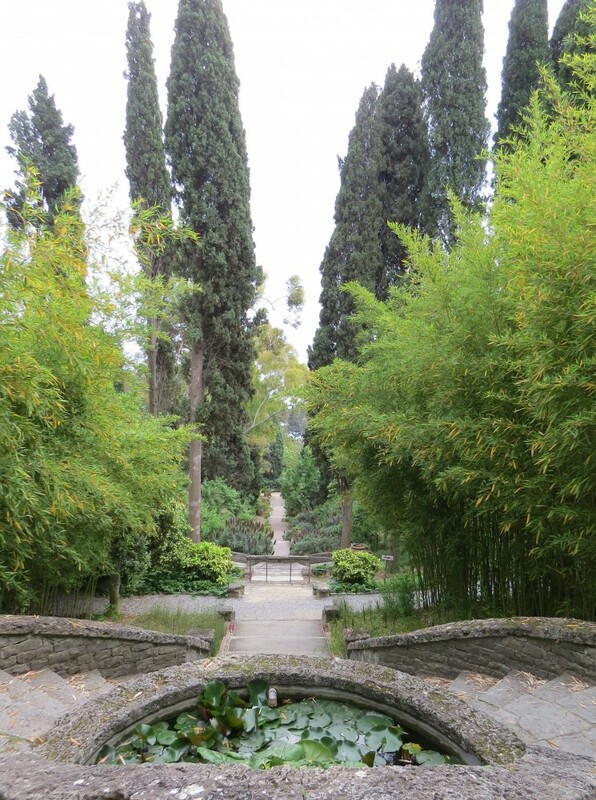 La Mortola is a botanical garden I have followed with interest over the years, as since 1987 it has been restored and managed by the University of Genoa. In the garden meadow grass is allowed to grow between the exotics and the widely spaced cultivars, which to me looked incongruous, particularly in a rose garden. 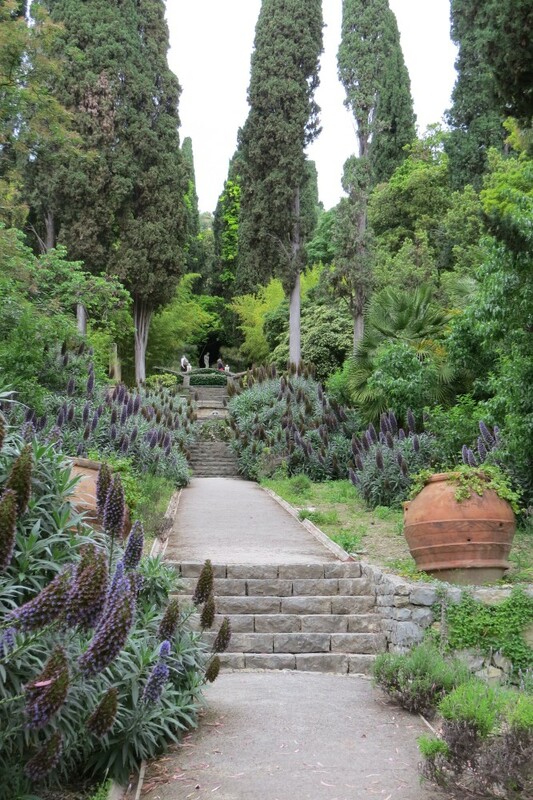 Familiar as I am with North European botanical gardens, where everything is superbly managed and manicured, I am not sure whether La Mortola’s unusual approach is laid-back Italian style, the slow progress of restoration, or limited funds. I can understand the attachment of the Hanbury family to this phenomenally beautiful garden, with its superb views over the mountainous rocky coast; which helps explain why the main garden features, the pink stucco Moorish mausoleum, the classical Tempietto, and the Pavilion are all dedicated to the memory of two generations of the family. 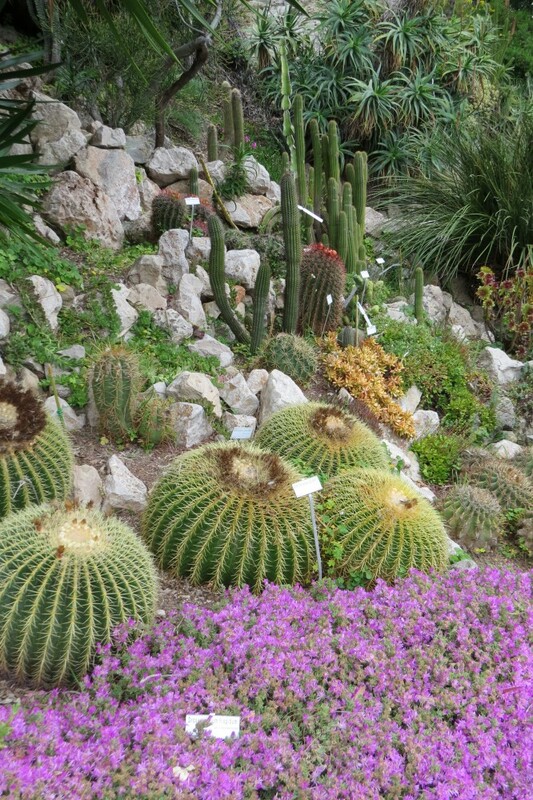 Having good bones, a superb setting and a fabulously exotic plant collection, La Mortola can justifiably lay claim to being one of the Riviera’s greatest gardens. Parking can be difficult. Where: 2km. east of Menton, over the Italian border. Access by car. Details: Website- Giardini Botanici Hanbury currently down.